New Children’s book from my sister. Her husband James is a great artist, and she created a book similar to this for Christmas last year. I told her that she needed to publish it and so began an interesting journey. 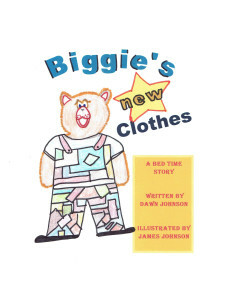 A children’s book with images is different of course than writing a novel. I am long winded and I have no idea how someone can compile an interesting story into 30 pages, but she has managed to do it. She created the pages, printed them off. I scanned them into jpeg files. I then used Adobe Photoshop to crop the images and then optimize it. Optimizing your images are very important, otherwise you’ll have a book that is several megabytes. Since Amazon charges you by how big your book is, the larger it is, the less profit you’ll get. I’m sure that I probably could have tweaked the images even more but I was satisfied with the resulting files. I compiled the book using a tool from Amazon called, Kindle Kid’s Book Creator. It is a free tool and was super simple to use. Import the images into the tool and then arrange them according to the pages that you want. It was fun and she is already working on her next book. I hope you have a wonderful week…we’re supposed to get another snow storm tonight.